I am a classical guitarist based in Melbourne, Australia. My passion is purely and simply for all things classical guitar. I started studying the guitar in the UK at the relatively ripe old age of 13 or 14 (after having first studied piano and clarinet), with the great British guitar pedagogue Peter Nutall. Moving to Australia in my mid-ish twenties, and after a bit of a hiatus from the guitar, I continued guitar performance and pedagogy studies with the well-respected (and one time teacher of Slava Grigoryan) Ron Payne. I then continued on my higher level studies with the inspirational Ben Dix of the Melbourne Guitar Quartet. In recent years I have also studied in masterclasses with the likes of Slava Grigoryan and Phillip Houghton. One of my key objectives for this blog, which I’ve steadfastly stood by in its nearly 5 year history, is to help others – help you – if and where I can, by sharing my own knowledge, my own lessons learnt and experiences, to shape and follow your own path of learning on the guitar. I also want to help breakdown the idea that classical music is some rarified and “special thing”. Yes, it is special in that all music is special, but not special in that it should be accessed by only a privileged few. 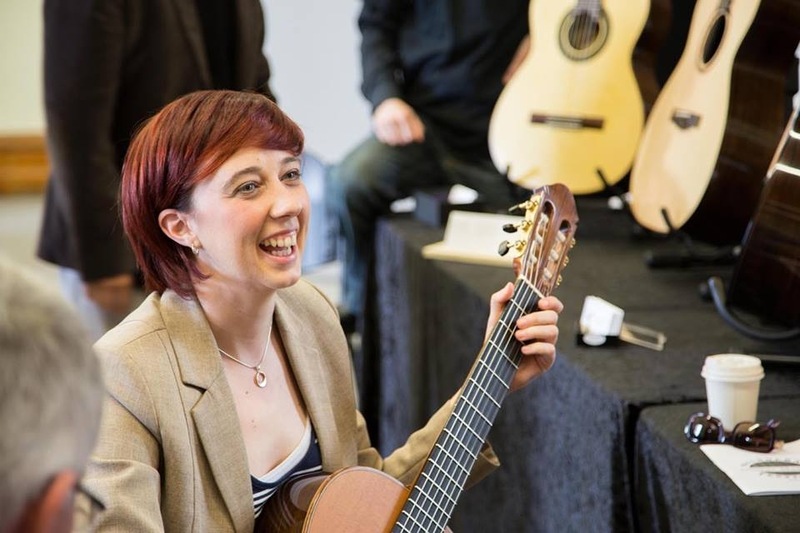 Classical music and classical guitar is for all; it’s for you. Have fun with it. Enjoy it. Learning to play the classical guitar is a wonderful journey of self-discovery and self-development. You have a nice blog and good ideas to help students and teacher. I have nominated you for the Blog of the year 2012 award. If you do not already know what needs to be done, you can find the instruction in my last post. Good luck! Thank you very much! That’s very kind of you 🙂 It’s so nice to know that you enjoy the blog! And thanks for the repostings on your own site too. Look forward to contributing and checking out what happens here. 🙂 Speak to you soon. Thanks very much 🙂 I am seriously truly humbled that you like the blog – thank you. You’ll be pleased to know it’s a tab free zone here!! Nicole, I have nominated your WordPress for a Liebster award! Hi, Such a pleasure to read about your passion for Classical Guitar. I would really like to feature you on our hobbies website, and introduce Classical Guitar as a new hobby to our visitors. Hope you may be interested in helping us. cheers, Graham…..www.yourhobby.co.uk….. Always happy to help – drop me a line at nicole@nicolelouiserogers.com with some details on what it is you need help with. Thanks – glad you like it. And thanks for reading! Happy new year Nicole! Your new layout and theme look very good.